Our CES 2016 coverage rolls on with a visit to Mushkin, known for high-performance storage and memory solutions. Prepare yourself for some speedy and high capacity products, like a USB flash drive with 400 MB/s transfer and a 4TB SSD solution. 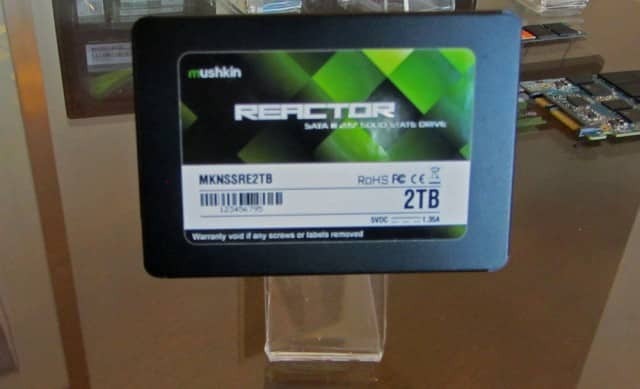 With new firmware on the way, Mushkin will release a new REACTOR 2TB SSD in Q2 based on the Silicon Motion 2246 controller with 3D MLC NAND. Speeds will be up to 560 MB/s reads and 460 MB/s writes. If that is not enough storage for you, Mushkin showed us a prototype with two SM2246 controllers in a RAID configuration. Although there are some performance drawbacks, like a drop in IOPS, the capacity makes it appealing for NAS builds, for example. This could also make it’s way to the market in Q2. The MSRPs have yet to be officially determined, but look for aggressive pricing in the $0.25/GB range. 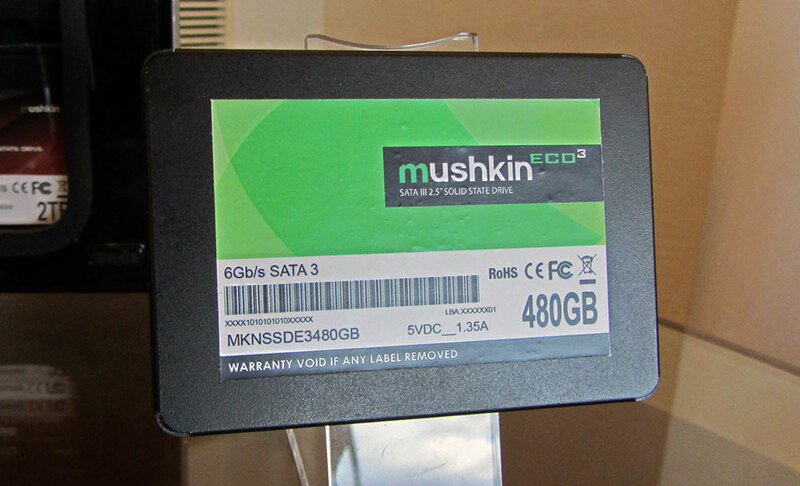 In keeping with the tradition of the successful ECO2 line, Mushkin will launch another Newegg-exclusive SSD under the ECO3 moniker. Based on the SM2256 controller, the ECO3 will be available in 240GB and 480GB capacities at first, additional capacity drives may be added later. In terms of speed, reads are up to 560MB/s and writes up to 515MB/s with 87,000 IOPS. 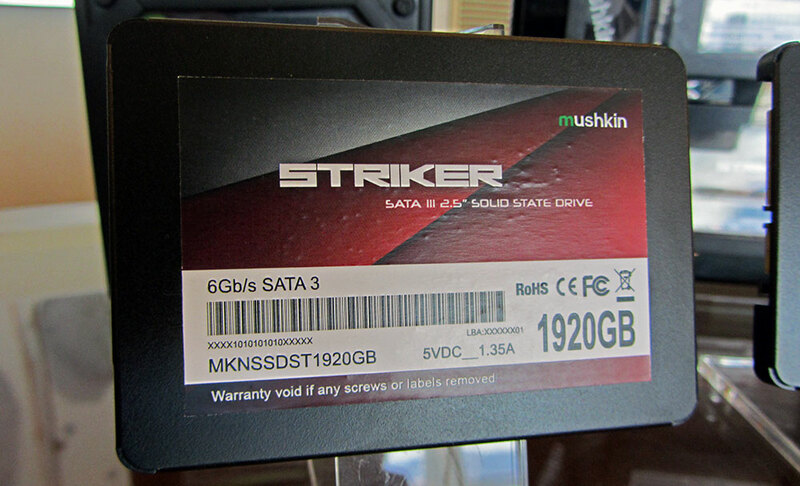 Last but certainly not least, the STRIKER SSD, which has more of an enterprise focus. Mushkin will launch a 1920GB model towards the end of Q1. Expect similar specs to the 1TB version, which offers 565MB/s read, 550MB/s write as well as IOPS of 88,000 read and 92,000 write. 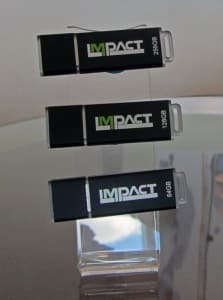 Mushkin also showed off their high-performance IMPACT USB 3.0 drives flash boasting speeds of up to 400 MB/s read and 310 MB/s write. Three capacities are available 64GB, 128GB and 256GB. MSRPs are $34.99, $52.99 and $101.99 respectively. 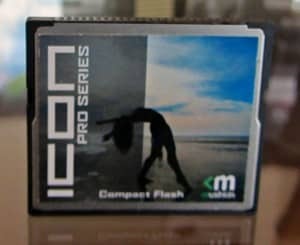 For those of you with DSLR or high-end digital cameras, Mushkin released a new line of Compact Flash called ICON. 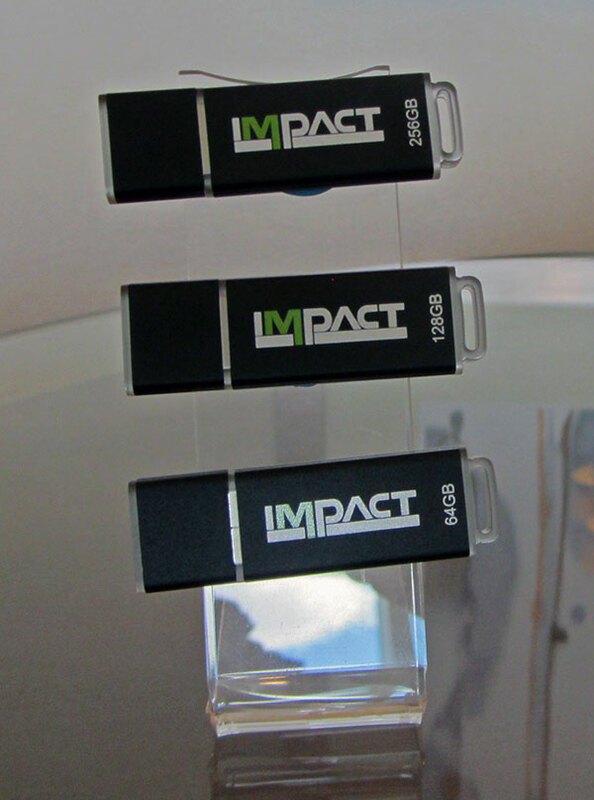 These will feature 1066x speed with data transfers of up to 160 MB/s. 256 GB and 512 GB flavors will be available later in Q1. Thanks to Mushkin’s 20%-30% cost-saving by manufacturing products here in North America, they expect to be able to offer these at just a fraction of the cost of high-capacity Compact Flash cards on the market today. Mushkin is poised for a big year with a new production facility being completed around March. They expect the additional manufacturing capacity to allow for even more aggressive pricing of their products. Keep an eye on the front page for more exciting product launches from CES!